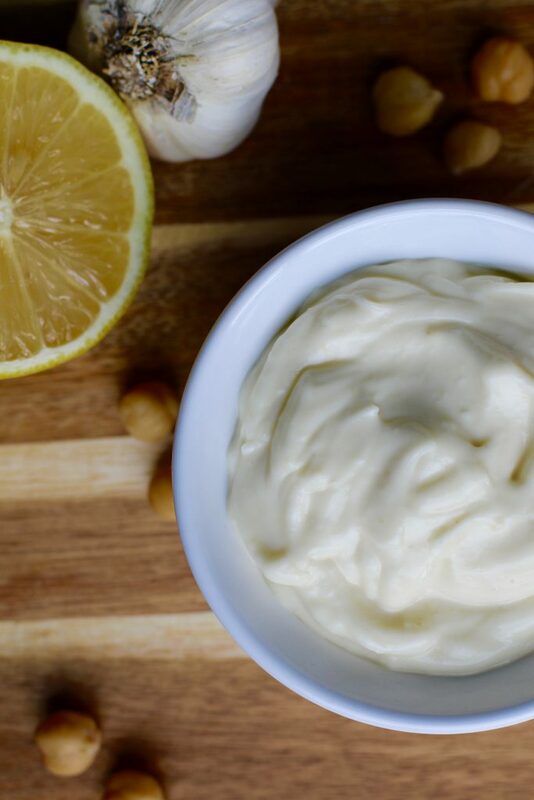 Mayonnaise is not ranked high as a nutritious condiment, but what condiment is for that matter? With healthy substitutions, this creamy, rich recipe can transform a simple dish into a mouth-watering meal. 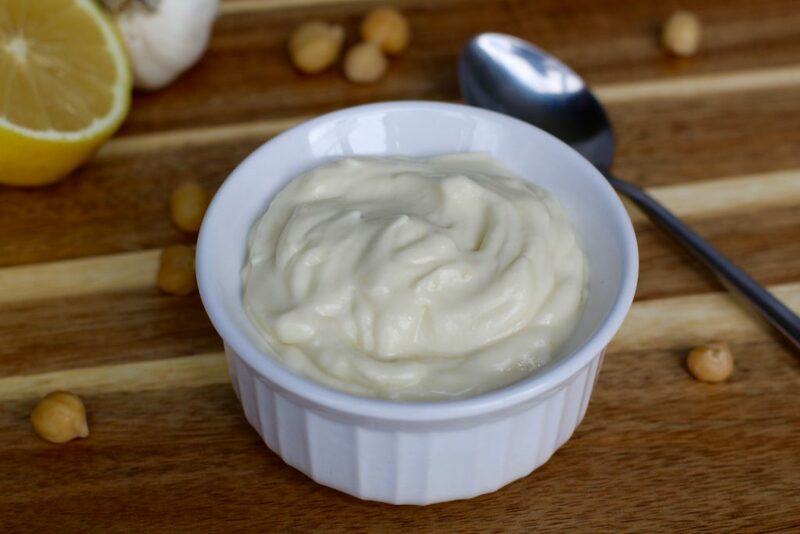 All you need are a few ingredients, a blender and in no time you can add this condiment to leftover salmon or chicken and it will make an amazing guilt-free lunch. I am not a big fan of store-bought condiments, nor do I allow my kids to indulge in such unnecessary flavouring. They are found everywhere and we are tempted to add these types of food seasonings because they are so easily accessible. 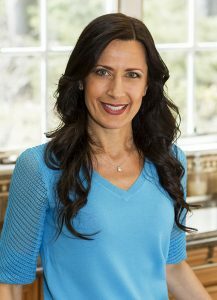 Enhance the taste of the dish… that they do, but what most people do not realize is that the ingredients you find in these packaged goods are loaded with refined sugar, salt, high fructose corn syrup, partially hydrogenated oils, GMO soybean oil, fat, etc. These unhealthy and highly processed ingredients can wreak havoc in your body at a cellular level and the outcome is catastrophic leading to obesity, diabetes, reproductive disorders, heart disease, and the list goes on. 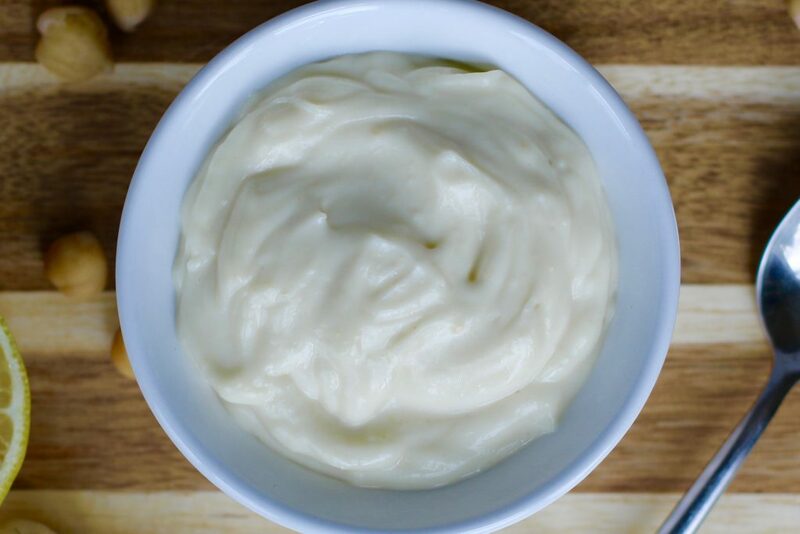 I transformed barbecue sauce and it was a success and making a few flavourful dishes using this recipe was a big hit in my home. (Easy Grilled Chicken with Healthy BBQ Sauce, Healthy BBQ Paprika Pulled Chicken, and Easy BBQ Paprika Shrimp with Spiralized Kohlrabi Rice). So my quest began to revamp this unhealthy mayonnaise with some nutritious substitutions. Most importantly, making it egg-free so my older son can experience the amazing results was a must… not that they even know what store-bought mayonnaise tastes like. When doing some research, I stumbled across a wonderful use for the liquid found in a can of chickpeas. Did you know this liquid that usually takes a nice dive right down the drain could be used to replace egg whites? That was perfect for me since I hate throwing anything away! 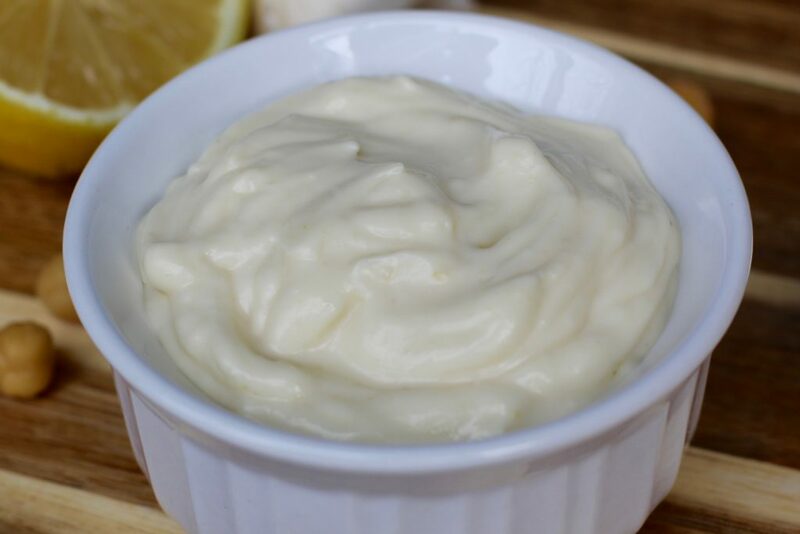 I decided to try it in my latest mayonnaise recipe and the results were outstanding!!! 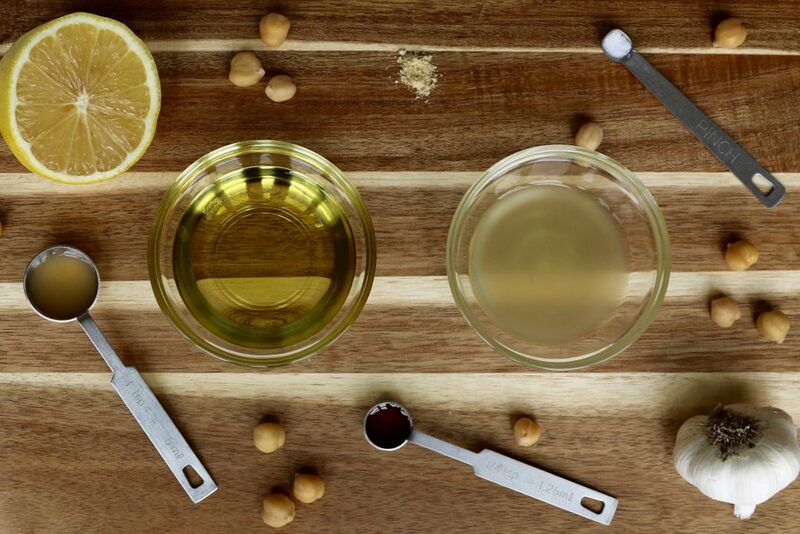 Aquafaba is the viscous cooking liquid from legumes, such as chickpeas, that can be found in canned beans or the leftover homemade liquid that is usually discarded. During the cooking process, the unique mixture of starches, protein, and other soluble plant solids is released into the liquid giving it the ability to emulsify, foam up, and thicken. I decided to not only add the chickpea brine to this recipe, but also a few whole chickpeas as well to raise the nutritional content. Also, I found regular olive oil to be more subtle than extra virgin olive oil. The great part about this recipe is you can play around by adding certain ingredients to satisfy your own palate. I like to include a small piece of garlic but remember it is raw so the taste will be stronger. Go crazy… the world is your oyster! You have to try this recipe with leftover salmon or chicken. It is definitely going to be a big hit! 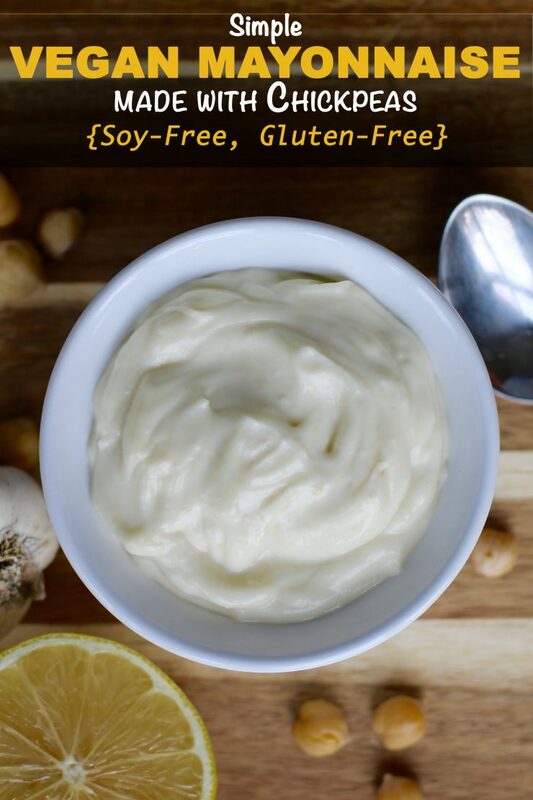 This vegan mayonnaise not only tastes exactly like the real thing it is also a much healthier option. 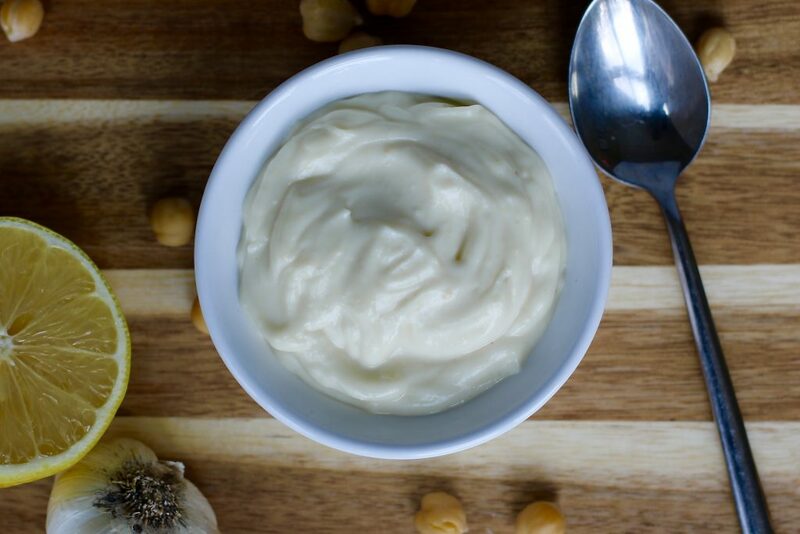 Throw all the ingredients in a vitamix, high speed blender, or immersion blender and in a few minutes you can add this creamy delight to any dish. Combine all the ingredients in a vitamix or blender, except the olive oil, and blend until it is smooth. With the blender running, slowly add the oil allowing the consistency to gradually become thicker. Store in a glass airtight container (I use a mason jar) in the refrigerator. Use within a week. 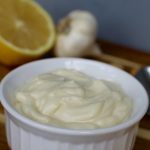 Do you use mayo in your recipes?